A Adventure awaits your young explorer with this colorful themed bounce house. 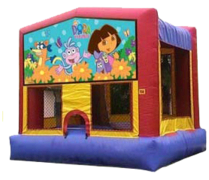 With our wide variety of moonwalks we are sure to have an adventure awaiting for every young explorer. 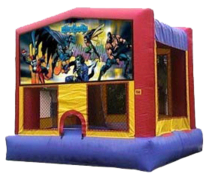 A Batman themed jumper for your childs birthday party. 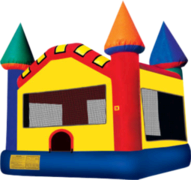 With our wide variety of bounce houses and moonwalks we are sure to have what every kid needs. Joker Beware!!! 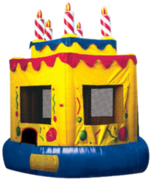 A Birthday party awaits for you inside this bounce house. It's for the young and young at heart. Happy Birthday!!! A castle is waiting for the king or queen on their special day. This colorful themed moonwalk is one of the all time favorites. A Disney themed Princess castle awaits them on their big day. This jumper has all your favorite characters. It's a fairy tale come true! 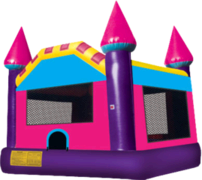 A Dreamy fairy tale begins with this pink and purple themed bounce house for your little princess. This one is just for the girls! 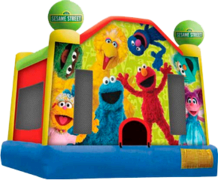 A Elmo and Big Bird party is waiting for you. This Bounce house is just what the birthday child has ordered. Elmo says happy birthday. Go Tigers!!!! This moonwalk will keep you heading for the touchdown... L. S. U. Are you ready for a Hawaiian adventure. This moonwalk will have you feeling like your in a tropical paradise. MIC KEY MOUSE, MICKEY MOUSE will have all of his friends at your special day. 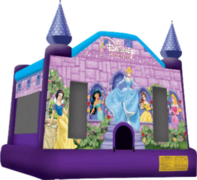 Have fun with mickey and friends in this wonderful bounce house. 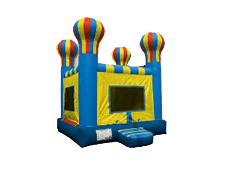 This colorful bounce house can come as it is, or you can choose any theme you want for your special day. This spacewalk can become anything you want. Nemo and Friends are waiting for you in this amazing moonwalk. This jumper will make you feel like your on a undersea adventure. Ahoy Matey!!! 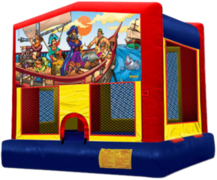 The Pirates are awaitng your next adventure in this bounce house. Don't forget your eye patch. GO SAINTS, all the way to the superbowl. this jumper is the one for the ultimate fan. You will be bouncing all the way to the playoffs. Scooby- Doo where are you??? Can your little one solve the help with the help of the mystery machine and Scooby-Doo. THis jumper will have you acting like the real spiderman. Make sure you don't get bounced out of the web. 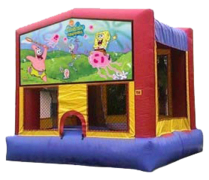 Bounce around in an undersea adventure in this moonwalk. 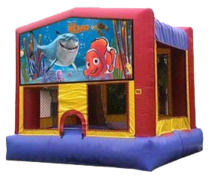 Your little one will have a bouncing good time under the sea. You can Bounce around with any sports you want in this awesome jumper. Don't forget to check the score on the way out. 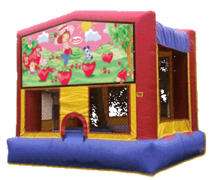 Strawberry shortcake and her friends await you in this colorful bounce house. Sorry boy's, this one is for the girls. 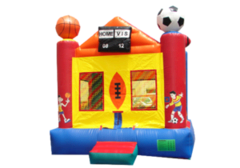 Thomas is waiting to take you for a ride in this bouncer full of fun. 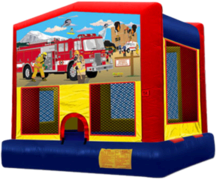 Your little one will bounce on down the tracks with this bounce house. Wild West here we come. 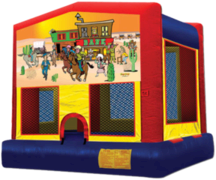 from cowboys and indians you will have a bouncing good time. 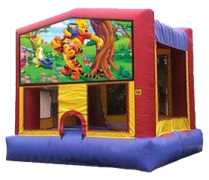 Come Bounce with Tigger and Pooh in his on bouncer. 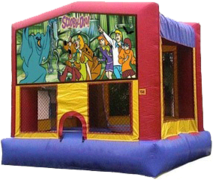 Winnie the Pooh and his friends guarantee a bouncing good time.